The LayerCake Elements’ Hip Hop Portrait Background Collection is filled with fifty (50) colorful ‘street art’ portrait orientation photos which were professionally photographed in the “hoods” and Barrios of Los Angeles, California. The LayerCake Elements’ Hip Hop Portrait Background Collection is the perfect way to add an edginess to photos for high school seniors, or other youth, seeking a more inner-city, or urban, background for their portraits. Even better, when combined with the magic power of the StudioMagic I & II Compositing Bundle plug-in for Adobe Photoshop users, you can mask and cut out your subject photographed in the safety and security of your studio; then, place them against one of the ‘street art’ backgrounds in The LayerCake Elements’ Hip Hop Portrait Background Collection. All without having to travel to a questionable area to do a location shoot. Each background is high-resolution image which is able to be cropped, or sized, to fit any custom print request. 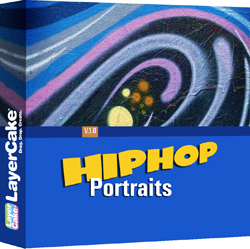 Since these are digital image files, the LayerCake Elements’ Hip Hop Portrait Background Collection is compatible with any editing application which uses layers to build the final photo. Tags: Adobe, America, Americana, art, barrio, California, Creatives, Digital Backdrops, digital backgrounds, Digital Compositing, graffiti, Graphic Design, Graphic Designers, Hip Hop, how to photoshop, Location Scouts, Location Sets, Los Angeles, street, street art, StudioMagic. To preview the fifty (50) ‘street art’ digital backgrounds in the Hip Hop Portrait Collection, please watch the slideshow below.